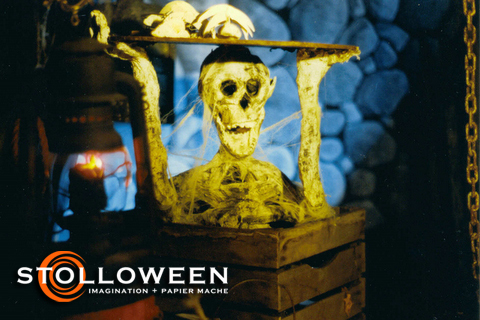 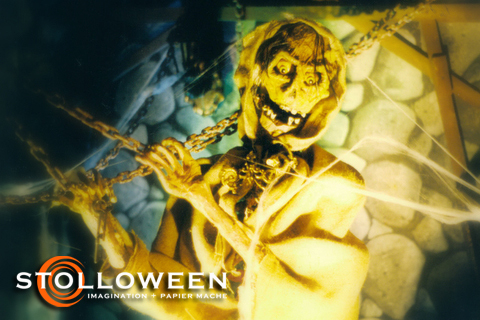 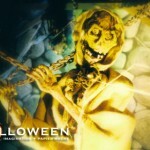 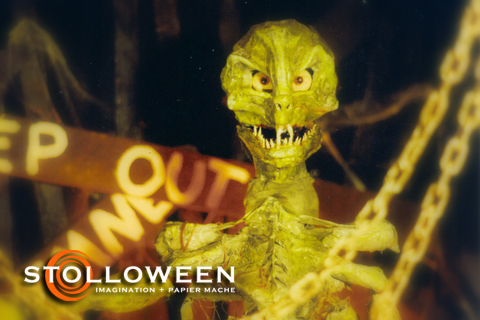 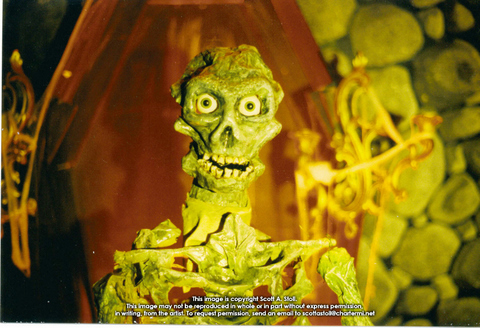 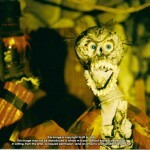 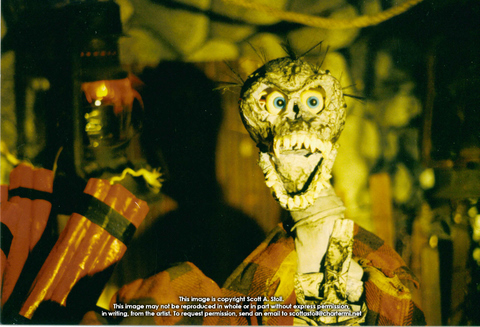 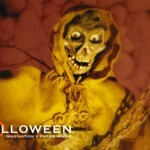 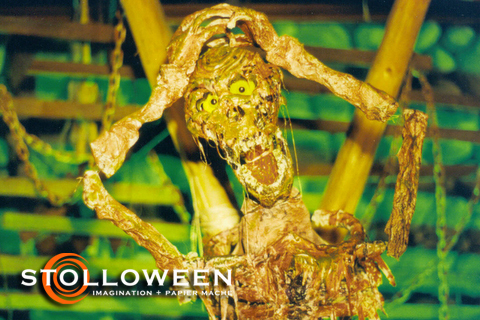 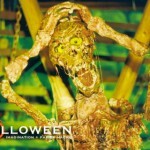 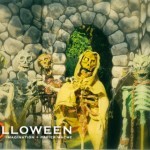 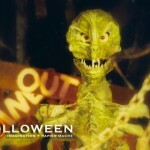 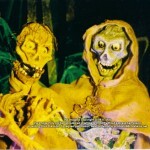 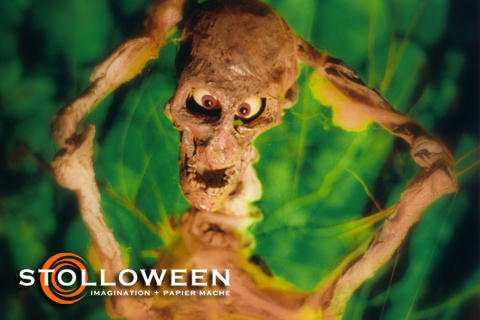 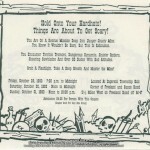 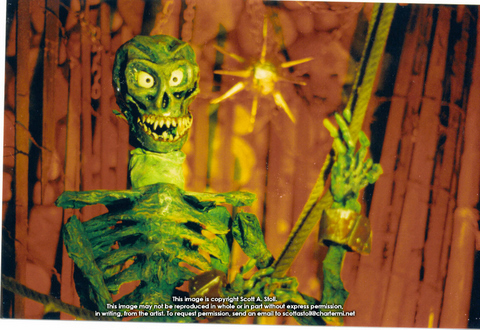 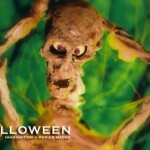 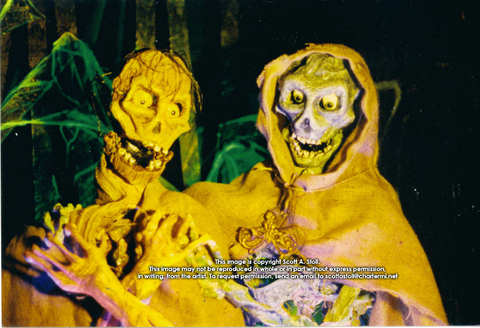 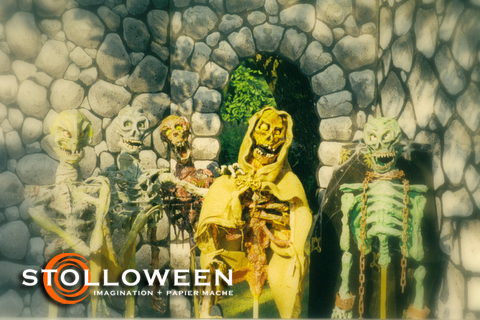 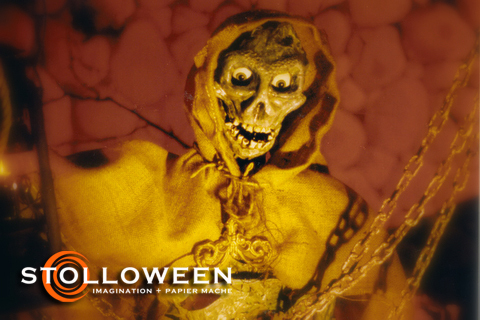 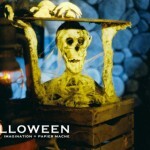 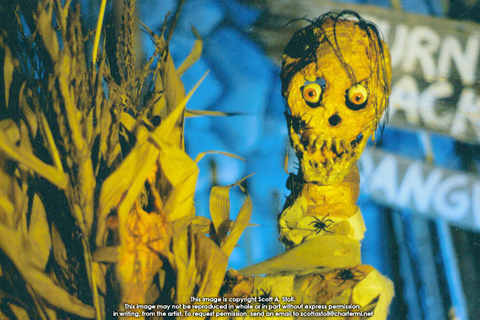 In 1993 my wife and I set out to design, build and operate our own commercial haunted house. 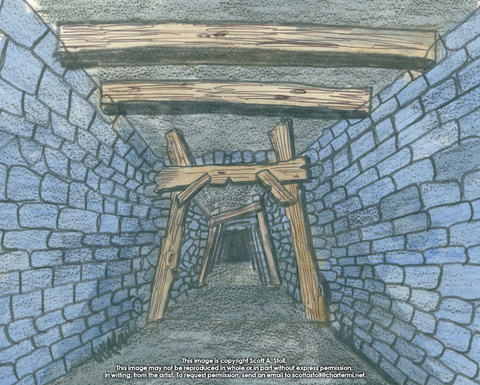 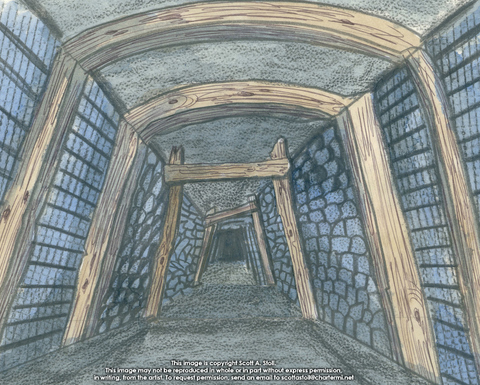 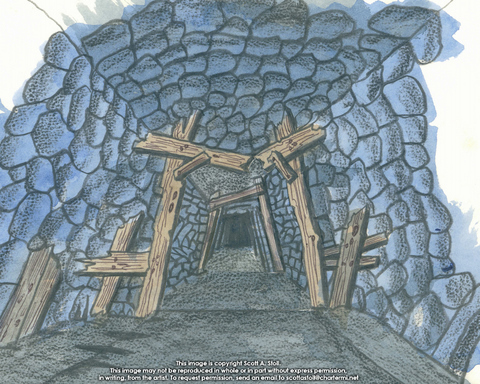 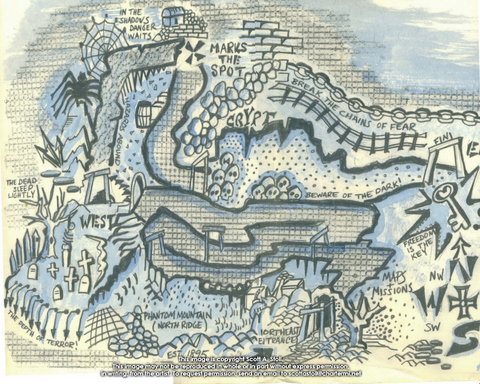 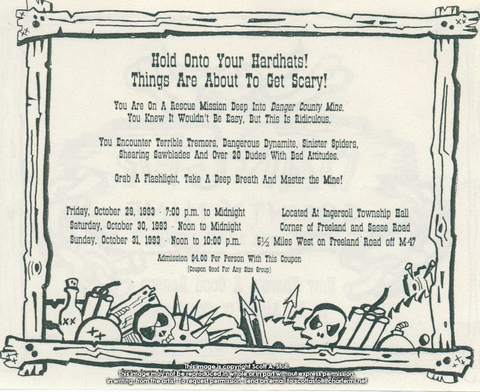 The result was an extremely ambitious attraction called Danger County Mine where guests braved the depths of abandoned mine shafts in search of survivors. 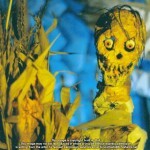 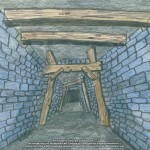 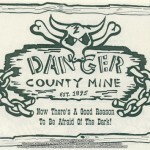 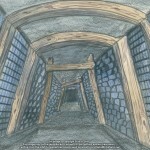 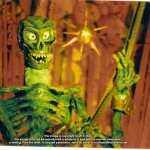 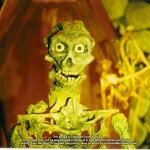 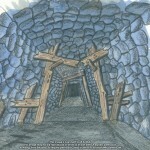 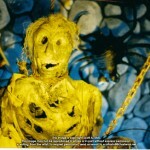 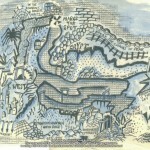 Danger County Mine featured over 20 animated papier mache creations, custom audio and video productions and live actors. 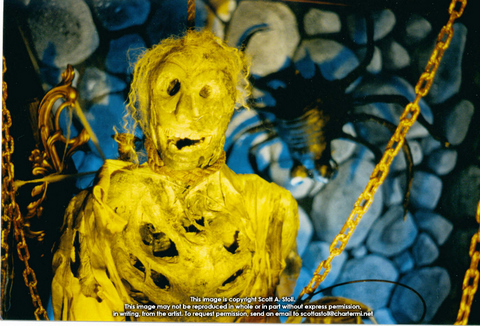 The pictures in the gallery below feature some of the papier mache work as well as some of the artwork created for marketing and the video pre-show. 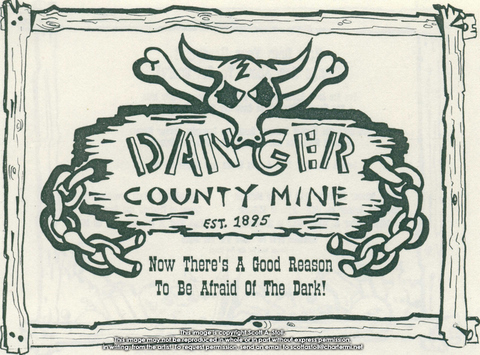 Danger County Mine was heavily themed complete with a back-story, cue line video showing “security camera” views of the various tunnels and a photo op at the end. 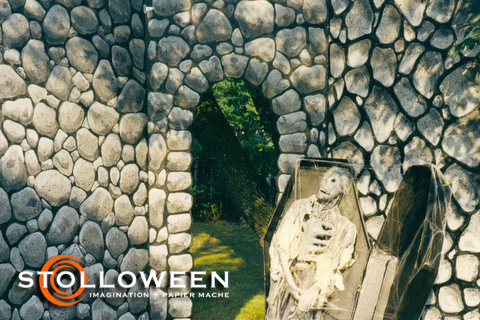 The entire structure was built in our back yard then transported the haunt location and assembled. 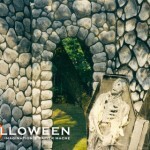 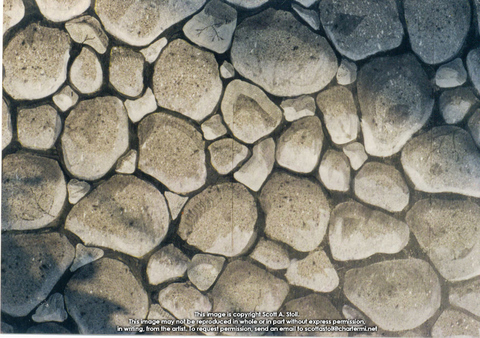 The project was a tremendous amount of work but also one that provides great memories.